It doesn't happen all that often, and perhaps by necessity it can't, but every once in a while someone comes along and just completely upends everything we think we know about their particular field. Before Galileo, it was common knowledge that heavier object fell more quickly than lighter objects. Before Orson Welles, ideas of deep focus and low-angle shots, and even the thought of telling a story in non-linear fashion were rare and generally criticized. Each of these people built on what came before, of course, but each of them also did something so different, so new, with what they presented that no one who encountered their accomplishments would ever think about their area of expertise in quite the same way. Its not, necessarily, a question of genius, nor is it essentially the province of ostensible "great men" to alter the landscape or our perspective. The examples above may not be perfect, and there are many more and many better out there, I am sure. But every once in a while, someone does things just a little bit differently, and nothing is ever the same again. Gram Parsons always wanted to be one of those people. He left Harvard to approach music, not with an eye towards greatness or popularity, but with the thought that he might be able to fuse the various strands of sound together and create something wholly new in the process. He called this genre he hoped to create"”a fusion of rock, blues, folk, and country"”Cosmic American Music, and it was to be his lasting contribution to the music world. When Parsons died at 26, it would have been hard to call his venture anything but a complete failure. His first group, the International Submarine Band, broke up before it released its first album, Safe at Home. He then joined The Byrds, convincing them to follow his lead and incorporate country into their psychedelic rock milieu. The result was the great Sweetheart of the Rodeo, which flopped on release and only later grew to be recognized as a seminal work in country-rock. 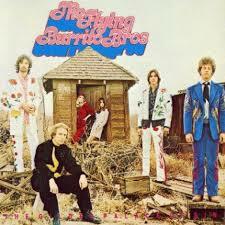 After parting ways with The Byrds over artistic disagreement, Parsons (and Byrds bassist Chris Hillman) formed The Flying Burrito Brothers, where he thought he might finally find a place to perfect the new genre and to expose it to the masses. The group's debut album, The Gilded Palace of Sin was never a commercial success (in fact, despite coming in at 192 on Rolling Stone's "500 Greatest Albums of All Time" and being cited as an influence on country legends like Emmylou Harris, rock icons like Elvis Costello, and modern successes like Wilco, the record has never been certified Gold by the RIAA), but stands as a classic work in the genre of country-rock and another step on Parsons' path toward his dream of Cosmic American Music. Parsons co-wrote all but two tracks on the album, both of which cover classics of R&B, and serve as examples of the disperse influences the artist was trying to fuse together. "Do Right Woman," an Aretha Franklin cover, is a powerful song in any version, but Parson uses the strong material to make an argument for country's viability as an artistic form capable of being powerfully expressive and even catchy. In Parsons hand, the track is a standard country weeper, but his powerful vocals prove that the change in genre doesn't rob the song of any power. What Ray Charles was able to show about the strength of country songwriting on Modern Sounds in Country and Western, Parsons is able to show about country instrumentation and style with "Do Right Woman. " The song is followed directly by "Dark End of The Street," a cover of the James Carr smash-hit that doesn't really deviate too far from the original. Where "Do Right Woman" is a strong argument for country as a genre and an excellent example of the vitality of covers that do something new with the material, "Dark End of the Street" is more an inessential homage to a great piece of soul song-writing. Its not bad, by any stretch, but it lacks the vibrancy of the former cover, and feels more like Parsons paying homage to a song he loves than really stretching to provide his own take on the material. The album's highlight is doubtlessly the one-two punch of "Hot Burrito No. 1" and "Hot Burrito No. 2. " The songs are titled ridiculously, but both show Parsons gifts as a songwriter and vocalist at the top of his game. "Hot Burrito No. 1" smoothly blends the classic country sad song with a contemporary feeling of anger and confusion. The song manages to retain all of the emotions that the great tragic tracks in the genre nail, while also infusing them with a modernity that connects you to the material. When Hank Williams sings of his troubles, it's a bit like examining a tragedy encased in amber, calcified by decades and detached from any worries we might relate to (outside of the general feeling of being sad about losing someone). When Parsons does it, the song gets under your skin and into your headspace. "Hot Burrito No. 2," with its "so it goes" attitude, oozes the passive despair of a lot of classic country (we discussed another example just last week, when we looked at Townes Van Zandt). It's a piano-driven rocker with a strong sense of jealousy and nostalgia, and it feels like it could be at home as a soul song, a rock song, an R&B song, or a country song. When I conceive of Parsons "Cosmic American Music," this is the sound I assume he was going for, and it's a great one, effectively fusing disparate genres, sounds, and emotions together to form a coherent sonic narrative that plays as intelligent but never feels as if it was constructed"”more as if it emerged fully formed from Parsons' mind. "Do You Know How It Feels" is more traditionally a country song, and a very good one at that. It's short, to the point, catchy, and melancholic in ways that can be hard to explain. One thing country music is very good at is figuring out how to sing a sad song, and a song that makes listeners feel the artist's pain, without sacrificing a good beat or a catchy melody. You can sing along to "Do You Know How It Feels," but it doesn't lose its stark emotional power as a result. The album closes with the overtly political spoken-word piece "Hippie Boy" that deals with the counter-culture fears that were permeating society in 1969. Parsons posits himself as part of mainstream culture, approaching the titular character with a sense of bemused detachment ("he could've been on the weed or LSD, but if he was, I couldn't tell") that slowly becomes a kind of tentative acceptance. It's got a nice message, and when it ends with Parsons bringing in a chorus to sing an altered refrain of "Peace in the Valley," its hard not to smile a bit. Parsons recorded one more album with The Flying Burrito Brothers before being fired from that group. He then moved to France (where he lived with Keith Richards, because, of course) to try to get his solo career off the ground. But Parsons was an American at his core, and his sound was called "Cosmic American Music," so all of his recording sessions during his time abroad amounted to little. He returned to record his solo debut GP with the help of Emmylou Harris, and received the best contemporary critical response of his career. Its follow-up, Grievous Angel (which we will look at later in this feature) was similarly well received, and in fact charted at 195 on the Billboard 200. Yet by the time it was released, Parsons had already died of a drug overdose. We'll talk about the end of his life, and how it cut short his sonic experimentations, when we reach Grievous Angel, but for now, its important to recognize The Gilded Palace of Sin on its own merits, as an accomplished country album that fused in sounds from R&B, rock and roll, and soul music to form a coherent whole, and a landmark in the evolution of country-rock as a genre. When I think of jazz at its best, the first name that pops into my head is John Coltrane. That may be because one of my first encounters with the genre (or at least, the first that truly made me want to hear more) was Coltrane's A Love Supreme, which I looked at in the first volume of this feature and which we will examine again later this year. I am hardly alone in thinking of Coltrane as one of the foremost legends of jazz"”along with Miles Davis, Coltrane appears the most over the course of this year long journey through jazz Ryan laid out for me. One of the foremost jazz saxophonists of all time, Coltrane began his career working in the bebop and hard-bop forms, before moving on to pioneer the use of modes in jazz and eventually, work at the forefront of the free jazz movement. All of that is in our, future, though, and in a way in his, as this week we will look at Coltrane's second solo album, 1957's Blue Train. This album hews close to the hard bop sound Coltrane was working in at the time, mixing elements of bebop jazz with the rhythm and blues sound that was developing at the time. Coltrane wrote every song on the album, excepting his version of "I'm Old Fashioned," and the result is an album that feels like the work of an artist coming into his own. The title track is an almost 11 minute rhythmic blues piece that opens with a soulful, brooding minor theme that gradually shifts into major. If I had to distill my burgeoning love for jazz into one track, it might be "Blue Train," which packs all of the emotion, invention, and, yes, cool that the genre has in spades all into one track that is simply brimming with sonic verve, emotive movement, and a sense of purpose that gives it a strong direction while still allowing the song the room to breathe great jazz requires. "Moment's Notice" demonstrates Coltrane's first recorded us of what would come to be known as the "Coltrane change," a harmonic progression variation using substitute chords over common jazz chord progressions. These would become standard advanced harmonic substitution techniques in jazz improvisation, allowing artists to truly improvise in a free form style without losing the inherent melodic progression of the song. The structure inspires structured improvisation, allowing any musician to make the piece his own while still retaining some of the melody's core. "Lazy Bird" also uses the technique, allowing for Coltrane to pay homage to Tadd Dameron's "Lady Bird" (and also, likely Sydney Bechet's "Petite Fleur") while also creating something unique and fully his. Apparently it is possible to transform the chord progression of "Lady Bird" into "Lazy Bird" using chord substitution, which makes it sound like Coltrane is creating a complex secret sonic code, but the piece never feels as convoluted as that description implies. It's a wild, energetic romp, a toe tapping good time that just happens to have the secrets of Coltrane's sonic universe embedded in its DNA. We will have plenty of time to talk Coltrane throughout the year (which is one of the reasons he is getting less time in this column), but Blue Train is one of the strongest albums I've heard yet for this feature, an assured sound from an artist in the early stages of an evolution that would rock jazz as a genre and change its course forever. Where N.W.A. tended to background their political opinions behind layers of violent posturing and misogyny, Public Enemy places the message first, allowing the rest to provide background color. Formed when MC Chuck D and Flavor Flav, friends from years back, recruited Professor Griff and DJ Terminator X, the group was assembled with the idea of combining the successful style of Run-DMC with the politics of black youth. Public Enemy released their second album, It Takes a Nation of Millions to Hold Us Back in 1988, aiming for no less than a masterpiece, and admittedly using Marvin Gaye's What's Going On, an album that managed to combine political awareness with its singer's style, as a template. The album was an immediate and huge success, spending 49 weeks on the Billboard 200 and being certified platinum within 18 months of its release. After a brief introduction, the album really takes off with "Bring the Noise," which has a lot on its plate, from establishing the musical prowess of the group to endorsing Louis Farrakhan as a prophet, mocking their critics, and positing rap as a legitimate art form on par with rock and roll. It's a lot to fit into less than four minutes, but Chuck D's rapid-fire delivery (complemented by often clever interjections from Flavor Flav) makes it all go down smooth. This is an incredibly complex song, from a lyrical perspective, but the production by The Bomb Squad, which mixed funk samples and drum machine patter, the scratching by Terminator X, and the sounds of industrial chaos that permeate the song give urgency to the desperate dissertation D is delivering. "Don't Believe the Hype" is another overtly political song, running the gamut of current events (once again referencing Farrakhan, who D seems pretty insistent we should all listen to, and making room to name drop our buddy John Coltrane). Throughout, the song feels like it would fit in comfortably with all of the protest songs of the late "˜60s and early "˜70s, except that it is sonically a world apart. By itself, the backbeat, with its frequent screeching, might drive me insane, but somehow, the way the screeches punctuate the verses works; if you ever start to wander away from the message and zone out, the screech shocks you back into the song. These lyrics are poetry (seriously. If you don't believe me, look them up), and they are delivered powerfully enough, and punctuated well enough, that its hard not to be awestruck by the accomplishment. Public Enemy brought the idea of politically motivated hip hop to the mainstream; where before political tracks would pop up occasionally on albums largely concerned with other things, Public Enemy based their entire image around a political position. It Takes a Nation of Millions to Hold Us Back is widely considered one of the greatest hip hop albums of all time, and its not hard to get behind that sentiment. This is a work of lyrical genius with the beats to back it up. When Public Enemy argued rap was an art form on par with rock on "Bring the Noise," I thought it was a bold statement, but by the end of the album, there was no doubt in my mind the boys were right. All three of the artists we look at this week completely changed their genres and transformed the way we even think about the type of music they made. Gram Parsons validated the promise of country music by combining it with folk, blues, and R&B in ways that proved country's lyrical strength and, more importantly, authenticated a sonic construction that is often more a punch-line than a respected form of expression. His Cosmic American Music is country at its most compelling, and his contributions to country-rock formed a new path that would be followed by the likes of Wilco, The Eagles, and Ryan Adams (one of these is not like the others). John Coltrane excelled at hard bop before moving on to be at the forefront of the free jazz movement. And Public Enemy made hip hop respectable, politicized a genre that had always, at its core, been born of societal discontent, and managed to do both without losing the verve and sheer joy that characterized early hip hop at its best. All of these groups took what had come before, spun it in their own way, and in doing so, changed all that would follow them. Bob Dylan shows us a Nashville Skyline, Sun Ra gives us Jazz in Silhouette, and Slick Rick enjoys The Great Adventures of Slick Rick.